OSHA's new penalty levels will take effect after Aug. 1, when the maximum penalty for serious violations will rise from $7,000 to $12,471. The maximum penalty for willful or repeated violations will increase from $70,000 to $124,709. Any citations issued by OSHA after Aug. 1 will be subject to the new penalties if the related violations occurred after November 2, 2015. OSHA will provide guidance to field staff on the implementation of the new penalties by Aug. 1. After two workers suffered severe injuries in separate incidents at an auto parts manufacturing plant in Hebron, Ohio, an inspection by OSHA found numerous safety violations that exposed other workers to amputation hazards and more. OSHA issued 57 violations to Sunfield Inc. and proposed that the company, which provides parts to major carmakers, pay more than $3.42 million in fines. Three staffing agencies that provided the bulk of Sunfield’s workforce Atrium Personnel, iforce and Employers Overload—also face proposed penalties of $7,000 each for failing to provide required safety training. "Sunfield has shown a total disregard for its workers, the kind rarely seen since the darkest days of the past when callous industrialists ruled and put profits before human suffering and common decency," said OSHA Assistant Secretary Dr. David Michaels. The company has an extensive history of federal safety violations dating back 20 years, and was placed on OSHA's Severe Violator Enforcement Program. For more information, see the news release. 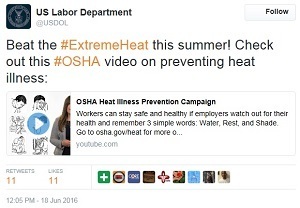 As temperatures soared across the country, OSHA, on Jun 27, hosted a conference call with employers, industry groups and the media to underscore the need to keep workers safe from the hazards of heat. "The agency is already investigating several heat-related deaths of workers this summer," said OSHA Assistant Secretary Dr. David Michaels. "Every heat-related death we investigate was preventable, in most cases by simply providing water, rest and shade." The call featured several employers and employer groups that are making noteworthy efforts to protect workers. They included Safety Director Anthony Hargis of the National Waste and Recycling Association, which sponsored heat-safety standowns last month that involved about 70% of the nation's waste collection companies. Safety officials from a steel plant, a lumber mill and a construction company also described their efforts, which included providing cooling vests and shade canopies. Dr. Michaels invited all on the call to join the conversation on Twitter using #WaterRestShade. An audio recording and transcript of the call, along with other resouces, are available on OSHA's heat webpage. In addition, OSHA is hosting heat stand-downs in eight Southern states from June 27 to July 1. With Independence Day celebrations approaching, OSHA is encouraging the fireworks and pyrotechnics industry to protect workers from hazards while manufacturing, storing, transporting, displaying and selling fireworks for public events. Fireworks can be deadly: In February, OSHA cited Texas Panhandle Heritage Foundation Inc. after a 21-year-old worker was killed during an outdoor pyrotechnics display. And last year, two workers were killed in an explosion at fireworks manufacturer Ultratec Special Effects Inc. in Alabama. The company was cited for 14 violations. OSHA offers information on common hazards and solutions, including downloadable safety posters for workplaces. Also available is a training video that demonstrates best industry practices for retail sales and manufacturers based on National Fire Protection Association consensus standards. Dollar General has again been cited after an OSHA inspection of a Shamokin, Pa., store found workers exposed to various safety hazards. Inspectors found locked exit doors, obstructed exit routes, emergency exits that were not clearly marked, and unmarked circuit breakers. The company was issued five citations and proposed penalties of $69,300. Dollar General has been cited for similar violations from 2011 to 2016 in eight other states. Read the news brief for more information. 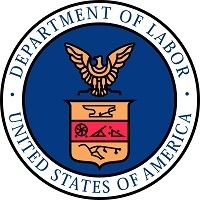 An OSHA follow-up inspection of A&B Foundry & Machinery Inc. revealed workers were exposed to risks of amputation, hearing loss and respiratory damage. The Franklin, Ohio, foundry was cited for 15 safety and health violations including: allowing workers to operate machines without safety guards; failing to train workers on noise hazards and hazardous chemicals used in the facility; using damaged personal protective equipment; and not providing workers with fit-testing and medical evaluations. OSHA proposed penalties of $143,150, part of which included fines for similar violations found in 2012. For more information, read the news release. Four workers were injured in an explosion at a food additive manufacturing plant in Newark, Ohio. OSHA inspectors found that Arboris LLC failed to properly handle hazardous materials and respond to an emergency. Two Arboris employees suffered smoke inhalation and first-degree burns. Two employees from Atlas Industrial Contractors LLC were hurt scaling a fence to escape the fire. Atlas employees were at the facility to decommission and demolish old equipment. OSHA issued Arboris 41 safety violations including failing to: have emergency shut-down procedures; provide personal protective equipment necessary in the event of a fire; designate sufficient routes to exit the facility; develop procedures to prevent the inadvertent release of stored energy; and follow process safety management procedures. OSHA issued Arboris proposed penalties of $180,180. Atlas was cited for three safety violations with $41,000 in proposed penalties for failing to properly store gas cylinders and provide personal protective equipment. Read the news release for more information. Twice in less than a month, two workers at an Ajinomoto Windsor Inc. facility suffered amputation injuries because their employer failed to install adequate safety guards to keep operator's hands out of machine danger zones. OSHA cited the frozen food manufacturer for similar machine hazards at another facility in 2013. "It's hard to imagine the agony and pain these workers suffered when their fingers were amputated," said Bill McDonald, OSHA's area director in St. Louis. OSHA cited the company for two repeated, eight serious and three other-than-serious safety violations and proposed $140,000 in penalties. For more information, see the news release. Twenty-seven-year-old Leonardo De Jesus lost his life suddenly when his employer failed to have a competent person inspect the rail supporting a scaffold. The scaffold fell approximately 40 feet to the ground while De Jesus and a co-worker were installing a pallet storage system for a new Kroger distribution center in Forest Park, Ga. OSHA issued Reich Installation Services Inc. two willful and two serious safety citations. "Reich Installation's disregard for the scaffold's installation specifications and the lack of an inspection, after encountering problems, caused this preventable death," said Keith Hass, OSHA's acting director of the Atlanta-West Office. Proposed penalties total $121,800. For more information, see the news release. The following are recent examples of enforcement cases from State Plan states. For more examples of state and federal enforcement cases, visit OSHA's online enforcement penalties map. Minnesota OSHA issued $173,400 in penalties to Mortenson Construction Co. and subcontractor Berwald Roofing Company following a fatal fall at US Bank Stadium in Minneapolis. MNOSHA inspectors determined Berwald Roofing failed to provide proper fall protection for workers, causing one worker to fall 50 feet to his death. Berwald Roofing’s three citations totaled $139,100 and Mortenson Construction was fined $34,300 for failing to protect workers. Virginia Occupational Safety and Health issued $78,720.00 in penalties to Pittmans Tree and Landscaping Inc. of Front Royal, for exposing workers to workplace safety and health hazards. VOSH inspectors concluded that the company failed to inspect an aerial lift prior to use, failed to follow manufacturers recommended safety procedures, failed to remove unsafe equipment from use, and exposed workers to hazards from moving parts on an unguarded brush chipper. Tree trimming and removal operations expose workers to a variety of potentially fatal hazards including: falling from trees and aerial equipment; being hit by falling trees, flying objects and vehicular traffic; being cut by chain saws and chippers; and contacting energized power lines. To better protect tree care workers from injury or death, OSHA previously issued a hazard bulletin and trifold wallet card with valuable information for employers and workers. 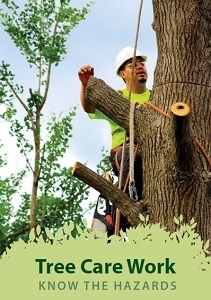 Building on those efforts, OSHA will host an informal stakeholder meeting July 13 in Washington, D.C., to collect information on hazards in the tree care industry. Those interested in participating or observing can register online. The agency will use the information gathered during this meeting to determine the need for a proposed rule. See the Federal Register notice for more details. OSHA will host the fifth meeting of the Emergency Response and Preparedness Subcommittee of the National Advisory Committee on Occupational Safety and Health on July 12-14, 2016, in Washington, D.C. Among other issues, the subcommittee will discuss potential elements of an emergency response and preparedness proposed rule, such as incident management, emergency operations, post-incident analysis, and program evaluation. The meeting is open to the public. For more information, read the news release. New Mexico Environment Department’s Occupational Health and Safety Bureau has recognized the New Mexico Consortium as a model of workplace safety and health. With about 50 employees, the consortium is a non-profit corporation formed by the three state research universities to advance scientific research and education in New Mexico. The consortium becomes the seventh Safety and Health Achievement Recognition Program participant in New Mexico. SHARP worksites are exempt from programmed enforcement inspections while certification is valid. See OSHA's small business webpage for more information on SHARP and other small business resources. Last month, as part of its alliance with OSHA, the Association of Energy Service Companies provided free training in Bryan, Texas, to agency staff on oil and gas well servicing equipment and safe operating practices. AESC member company Pioneer Energy Services offered OSHA staffers a close view of an oil and gas service rig in action. OSHA and AESC signed an alliance in 2013 to help AESC members and others protect the health and safety of workers. For more information, read the story on OSHA's website. OSHA will conduct a three-day training event Aug. 2-4 for staff responsible for the safety and health of federal employees. Seminars will cover fall protection, recordkeeping, confined spaces, construction safety, and fire protection, among other topics. The event will be held at the OSHA Training Institute in Arlington Heights, Ill. Enrollment is open until July 20. Students can read course descriptions and register online. OSHA's new Emergency Preparedness for Farmworkers fact sheet focuses on the importance of creating and training workers in an emergency action plan to help lessen the impact of agricultural emergencies and disasters, whether natural or man-made. 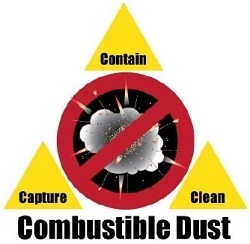 A fact sheet on Protecting Workers from Combustible Dust Explosion Hazards explains how to capture, contain and clean combustible dusts generated in a variety of workplaces before they become dispersed in clouds that present the risk of flash fires or explosions. Both fact sheets can be downloaded from OSHA's Publications webpage. QuickTakes is emailed free twice monthly to more than 140,000 subscribers. You can receive it faster and easier by subscribing to the RSS feed that delivers almost instant information. Visit OSHA's RSS Feeds Web page to subscribe. If this email was forwarded to you and you'd like to subscribe, please visit: http://www.osha.gov/as/opa/quicktakes/subscribe.htm. Register for your FREE QuickTakes newsletter today!